100 ml | 3.3 oz. 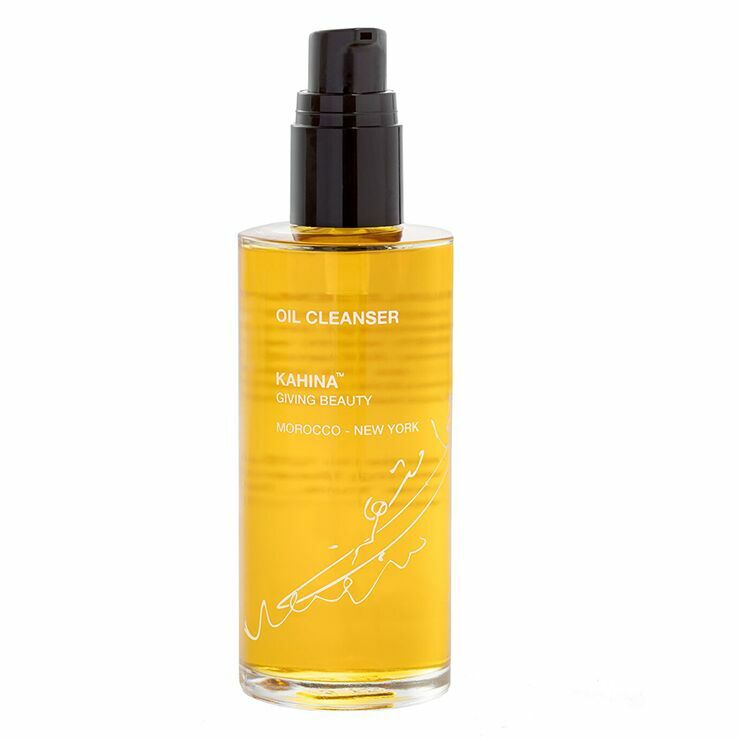 Easily cleanse away dirt, makeup, and sunscreen with Kahina Giving Beauty Oil Cleanser. Ideal for dry, acne prone, and mature skin types, this facial cleanser is made with a blend of oils that leave skin feeling deep down clean. Argan oil diminishes the appearance of dark spots and acne, while neroli and turmeric improve the look of balanced skin tone. Carrot seed oil reduces the appearance of lines and wrinkles, and sandalwood is used to promote a firmer, more youthful looking complexion. Skin is left feeling purified and moisturized with a visible glow. Apply cleanser to dry skin and massage onto face. Remove with warm water. Use both morning and night for best results. Designed for dry, mature, and acne prone skin types.